Earrings made with rectangle glass beads in periwinkle blue with an antiqued Picasso finish mixed with with cobalt and lime green. In between the beads are bronze spacers. 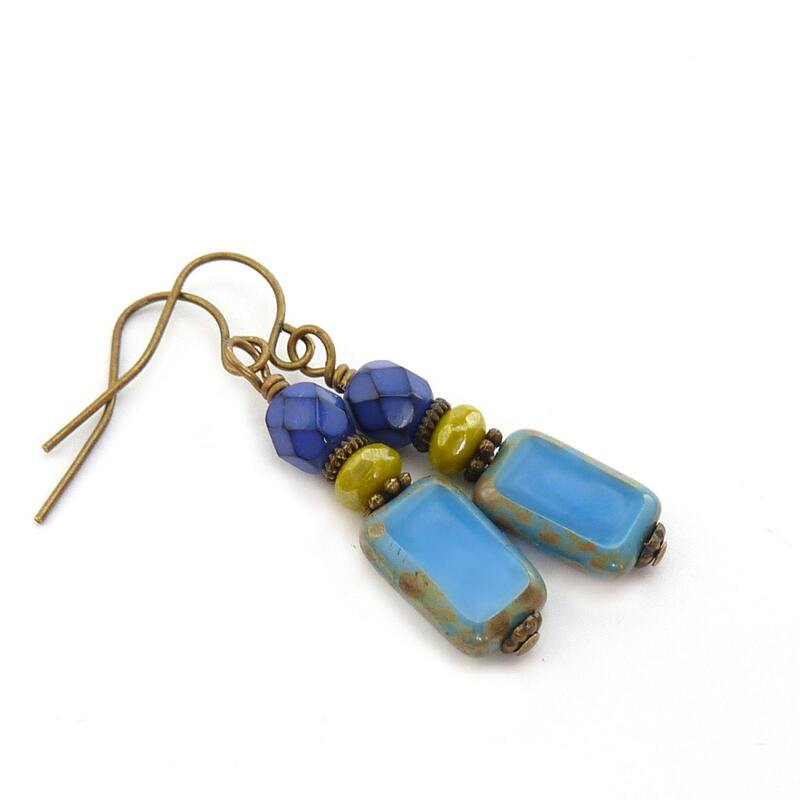 These petite earrings are bright and colorful. They're also small and light enough to wear to the gym.